The images below feature examples of applied tessellations. These images were taken on a trip to the Andalusia region of Spain. 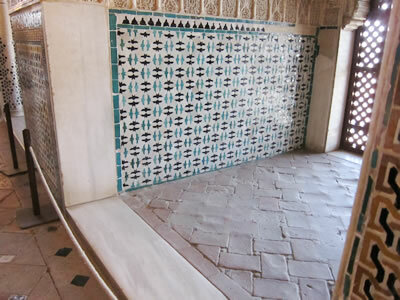 Here, in cities such as Córdoba, Granada, and Seville, you can view stunning examples of architecture featuring tessellations. Many of these reflect the influence of the Moors, who occupied southern Spain for several centuries. 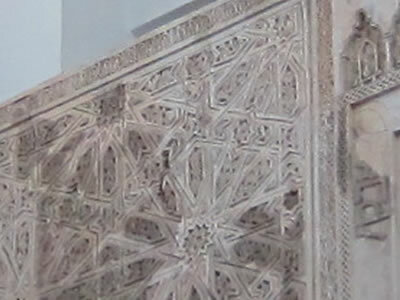 Their strong geometric designs were combined with arabesque lettering and floral motifs and co-existed with ancient Roman, Christian, Jewish, and Gothic traditions in architecture and design. 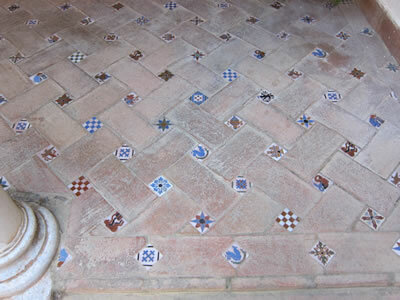 These tilings can be found on floors, walls, ceilings, columns, and any other available surface. Centuries after their creation, they appear absolutely modern and timeless. 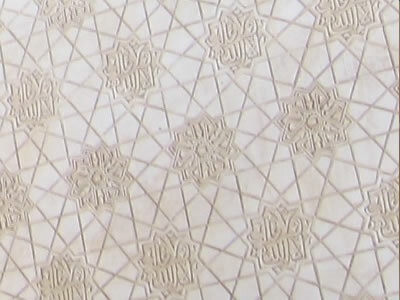 Wall surface from the Alhambra. A clever way to add a sense of texture to a monochromatic surface. 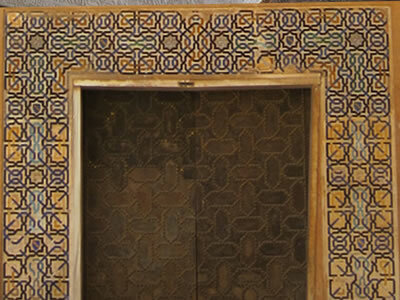 Both this (leather-tooled) door and its (tiled) surround feature tilings. Tessellations can be sat upon. 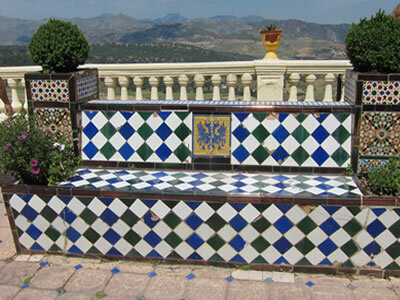 This tiled bench is an example of a single polygon pattern. 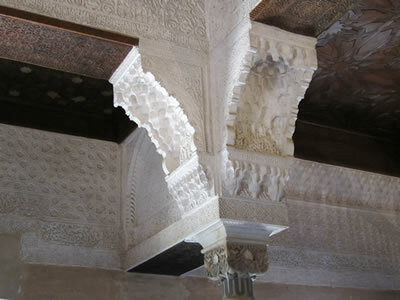 On this column capital, tilings are combined with multiple layers of three-dimensional designs. This floor pattern provides an example of a shift in alignment to accommodate two tiles of different sizes. Incisions provide a multilayered, 3D effect to this wall surface pattern. Somehow these multiple patterns on all surfaces (including the window screens) co-exist in harmony. All images by K. Vagts.